Hilda, four packs of birthday candles old, finds an unusual friendship in a young offender. Kate Lock’s beautifully eloquent new writing presents an enlightening tale of two women in search of purpose in broken Britain. 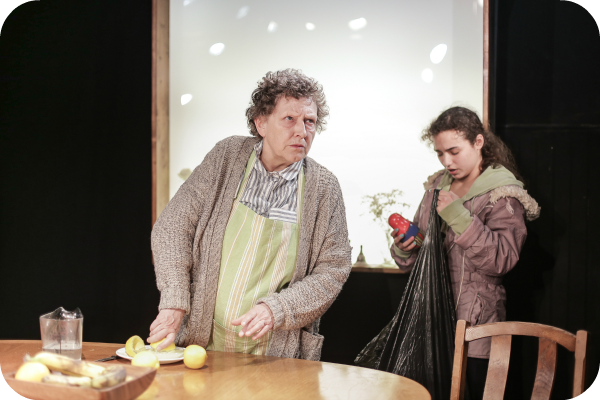 Russian Dolls explores the realities of motherhood, children in care and the changes in social behaviour from one generation to another. There is no question that Lock’s story is the rightful winner of the 2015 Adrian Pagan award for playwriting. Emotionally enthralling, the relationship between these two women is both endearing and frustrating. Hilda’s offer of affection is alien to Camelia, questioning ‘what are you doing?’ when embraced into a hug. Yet the potential love filled bond is hindered by Hilda herself, with her unforgiving attitude towards abandoning mothers. No second chances. She resents the idea Camelia loves a mother who doesn’t love her back. A philosophy which tears them apart. ‘What’s the point in being blind if you can’t get a dog’, Camelia is equipped with a dynamite tongue. Openly rude without intention, her social filters appear absent. This comically allows for some wonderfully outrageous and politically incorrect comments. However, on occasion Camelia offers insightful and wise perceptions of the world in the same uncensored delivery. Mollie Lambert gives a gritty, authentic performance when acting against Fayerman, yet speeches out to the audience feel stilted against the realistic nature of the rest of the production. It gives focus to Camelia’s story rather than Hilda’s, which I believe wasn’t Lock’s intention, ‘I met the real Hilda at a pensioner’s day centre… Her grit, humour and sense of self-worth were so inspiring, I felt compelled to write about her. 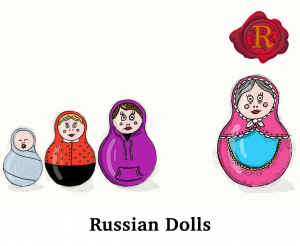 Russian Dolls is her story’. Nevertheless, this doesn’t detract from the performance being utterly engaging. 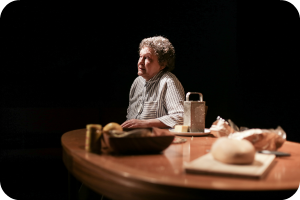 Stephanie Fayerman gives a tremendous performance of blind, stubborn Hilda. Using Lock’s humorous text, Fayerman’s entrance is hugely comical as she explains the hardship of bathing when elderly. Playing a blind character, Fayerman masters the unfocused, blurred gaze and essential attention to physical detail when maneuvering across the stage. Open your eyes to different social realms and your hearts to the misunderstood. 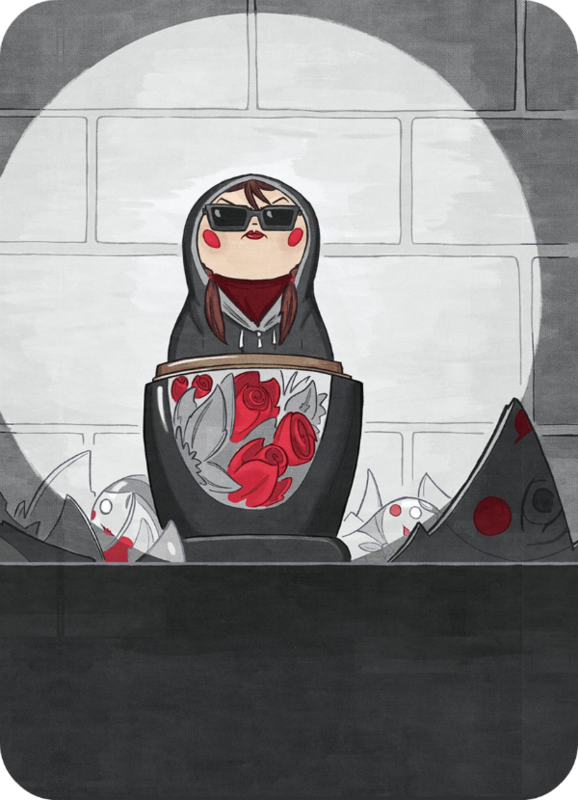 Enlightening and strikingly powerful, Lock’s Russian Dolls is a must see.